100% Pure Maple Syrup infused with real berries. 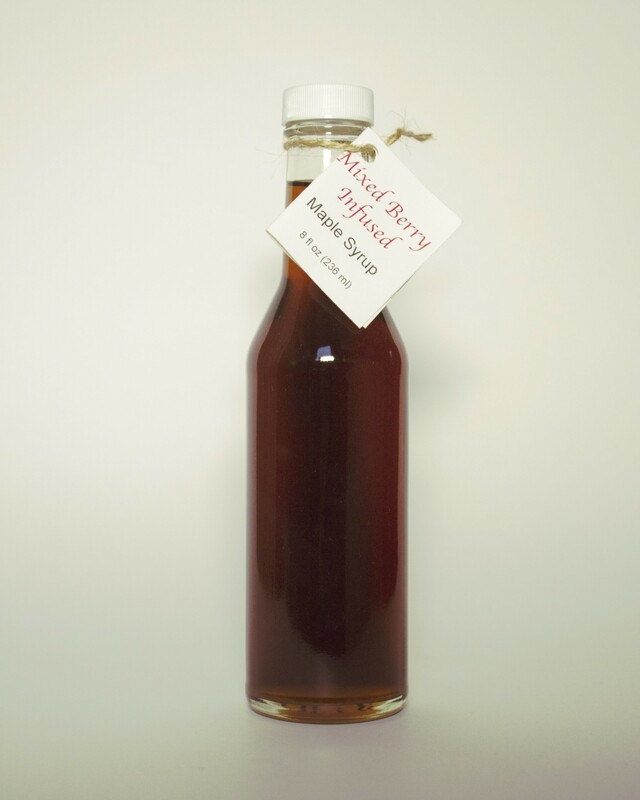 Mixed Berry infused maple syrup is made from 100% pure maple syrup and real blueberries, raspberries, and strawberries We add no artificial flavors or additives to get that fruity taste that is just right. Taste a flavor explosion by pouring mixed infused maple syrup over pancakes, waffles, yogurt, or cheesecake! You'll find many uses for this unique sweet treat.